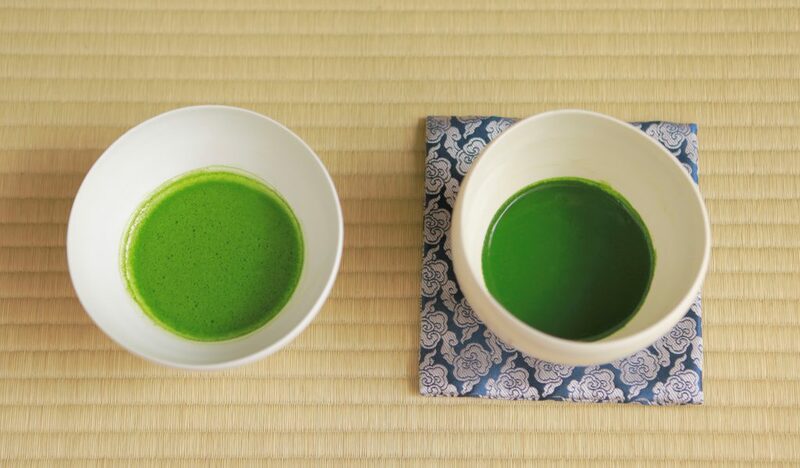 Home » All Posts » Did you know that there are two ways to prepare matcha green tea? Did you know that there are two ways to prepare matcha green tea? The most popular and casual one is called “O-usu” or thin tea as shown at the left. It is prepared with plenty of hot water in individual bowls. The formal tea, considered as the highlight of the tea ceremony, is “O-koicha”, thick tea. It is prepared with generous amount of matcha green powder whisked with little hot water in a bowl that is shared among the guests. Thick tea is rich in flavor compared to thin tea. Mat-Cha-Doh provides a workshop where you can sample and compare both types of tea. We at Mat-Cha-Doh provide Japanese cultural experiences in Tokyo centered around Cha-do, the way of tea, said to be the epitome of Japanese culture. We focus on Matcha (ground green tea), the main item of Cha-do, and its amazing powers. We offer information on a Matcha-energized healthy life through our blogs, online shop, Facebook, Instagram, and Twitter.